PROVIDENCE, RI — The Rhode Island International Film Festival (RIIFF) now in its 10th anniversary year has come up with a unique fundraising idea: celebrate Rhode Island’s recent growth as a filmmaking hub and provide an opportunity to meet the movers and shakers in this cinematic Renaissance. RIIFF’s “Film Industry Networking Party” will take place on Thursday, November 30th from 5:00-8 p.m. at Gallery Z, located at 259 Atwell’s Avenue on Providence’s West side. The event is open to the general public and is a great way for area film-lovers to meet and greet with members of the industry. The party will feature a business card drawing plus a silent auction. Tickets cost $30 and include wine from Gasbarro's Wine and hors d’eovres by Venda Ravioli, Nick's on Broadway and La Prima Caffe. Already scheduled to appear are Michael Corrente, director/producer; Steven Feinberg, director of the RI Film & TV office; Curt Columbus, Artistic Director of Trinity Repertory Company; Scott Levine, unit publicist based in Providence (Underdog and Dan in Real Life); producer/directors Jon Raben, “Italian Americans and Federal Hill,” Eugene Celico, “The Tournament,” and Eric Latek, “Sweet Dreams; and Anne Mulhall of LDI Casting. 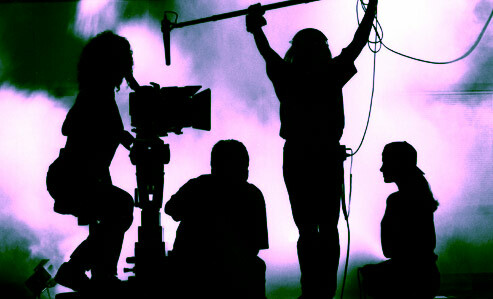 On hand for the evening will be filmmakers, actors, press, make-up artists, promoters, production and casting companies; each reflecting different areas of the industry. Marshall is entering his eleventh year running the film festival and has watched RIIFF grow since it was launched in 1997. "It started as this small event in the Blackstone Valley and is now considered a prominent and internationally recognized film festival," said Marshall. Among those who have appeared at the festival or festival events include film icon Julie Andrews, Patricia Neal, Cicely Tyson, Seymour Cassel, Andrew McCarthy, Michael Showalter, Michael Corrente, Peter and Bobby Farrelly, Matt Dillon, Ben Stiller, and Woody Harrelson. Fully 90 percent of the films screened each year come from entries, “Given that this year RIIFF received over 2,000 entries from over 60 countries, I’d say that the festival has a solid reputation and an impact,” added Marshall. “RIIFF provides an opportunity to be discovered; something unusual in the current festival environment where work is curated from other festivals to ensure ticket sales and an audience.” Marshall said. "I think the festival has had a profound effect on filmmakers and the filmmaking community. "With both our AMPAS (Academy of Motion Picture Arts & Sciences) and Grammy affiliations, RIIFF has gained prominence that adds a bit of luster to our state as a film-friendly location. We are at heart a filmmaker’s festival and that’s a great mission, which also explains our upcoming fundraiser. What: Rhode Island International Film Festival Fundraiser. When: Thursday, November 30th, 5:00-8 p.m.
Tickets: $30 apiece. Call 401/861-4445 click below to purchase a ticket. 2006 Rhode Island International Film Festival®. All Rights Reserved. The Rhode Island International Film Festival (RIIFF) is dedicated to the creation of opportunities for artistic interaction and exchange among independent filmmakers, directors, producers, distributors, backers, and the film-going community. Now heading into its eleventh year, the Festival is produced by the Flickers Arts Collaborative, an organization with 25 years of experience presenting major artistic events as well as independent and foreign films to the public. For more information, contact the Festival at PO Box 162, Newport, RI 02840 or call 401/861-4445.